Venom is getting a "fresh start" from Marvel this May with writer Donny Cates and artist Ryan Stegman at the helm. 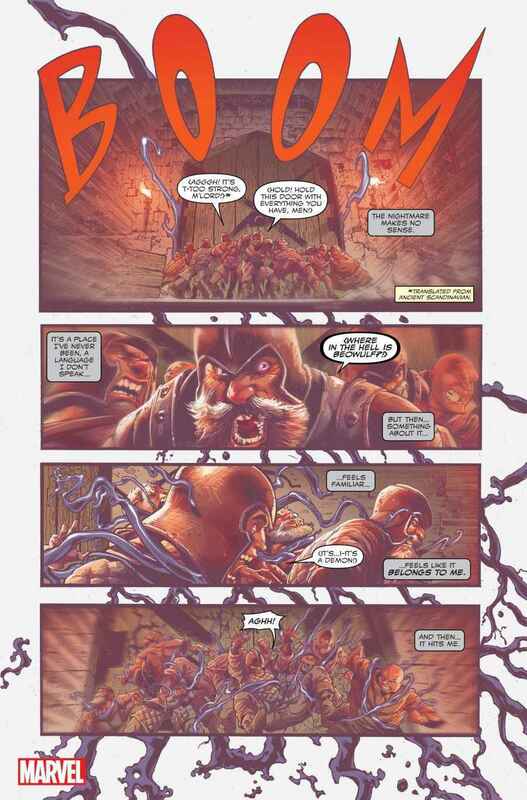 Cates has already made a splash at Marvel Comics with his work on Thanos and Doctor Strange. When the new Venom series was first announced, Cates told ComicBook.com that it may be his most ambitious story yet. The new Venom series will continue the story of Eddie Brock, the original Venom who only bonded with the symbiote once again relatively recently. 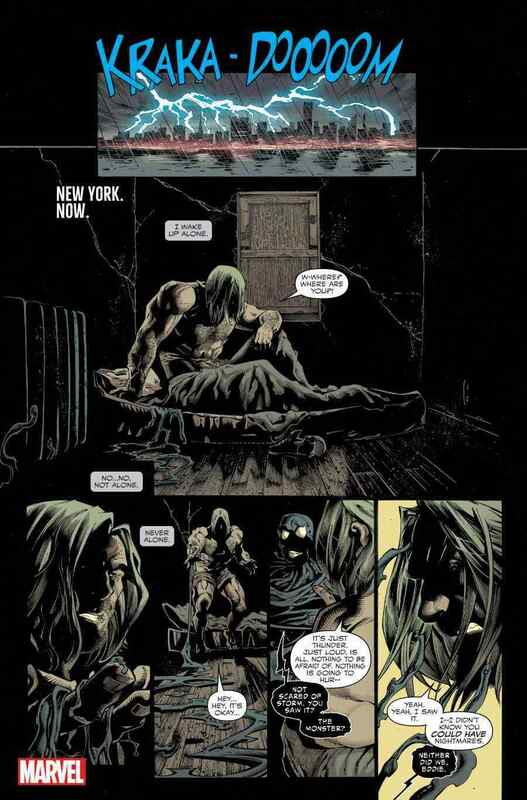 It will see Eddie and the symbiote taken out of their usual element -- defending the innocents as a street-level antihero -- to deal with a threat much bigger, and perhaps out of Venom's league. The first story arc will also put an unusual genre twist on Venom by taking the character into horror territory. ComicBook.com caught up with Cates again to go deeper on the new Venom series, which is just a couple of weeks away from release. 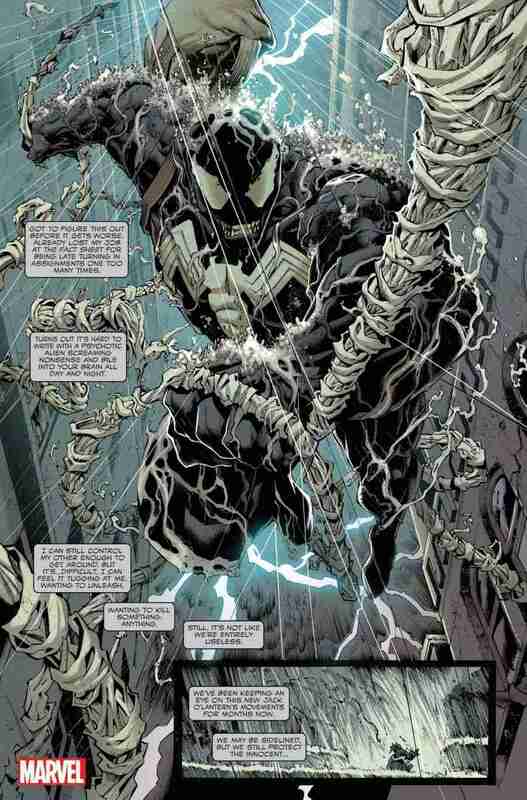 Cates spoke about his love for the character of Venom, his desire to reexamine Eddie Brock's history and personality, the enormous threat that Venom will face, what allies Eddie may encounter, and what its been like working with Stegman. Keep reading to learn everything you need to know about Venom. ComicBook.com: How did you come to write Venom? Was this something you asked for, or did Marvel come to you to gauge your interest? Donny Cates: Oh no, I was super and annoyingly aggressive about it. I made it very well known that when I got there, when I signed my deal, I was like, "Hey man, there's like four or five characters that I really want to get my hands on that I'm a big fan, and I have cool stories about." Venom was huge on that list. I had a crazy Inhumans story that just got announced that we're doing. There's two other characters on that list that I can neither confirm nor deny involvement. But yeah man, I love that character. It was one of those things where ... When I first got there, obviously, they were fans of my indie work and stuff, which is how I got my deal. But I was a little untested with the Marvel stuff. Sometimes that doesn't translate. Sometimes indie dudes come in and they don't take to it as well as they'd like, you know? I was able to come in and ... [then editor-in-chief] Axel [Alonso] started to really enjoy my Thanos script, and we started talking. I brought the Venom thing up to him, and he was like, "Holy $#!+. Yes. You on Venom would be f***ing great." And so yeah, it's been in the works for a really long time. Not a really long time, but a while now, you know? Yeah, it's crazy man. It's a weird dream come true. Slide 2/7 – Why Venom? As someone who is clearly a fan, can you tell me what you think is so great about Venom, and why you were so eager to get to write him? Well, I've been a Venom nut since I was a little kid. The first comics I ever read -- which is actually how I learned how to read, my dad taught me how to read on copies of Spider-Man and Green Lantern -- and the issues of Spider-Man that I had were some of Venom's first appearances. And so like, you know, I'm 33 years old. Venom is turning 30 in May, so I was, like, “I've been there this entire time.” I've always been obsessed with him. As a kid, it's very much, “Damn, that's a cool-looking monster,” you know? Venom is undoubtedly one of the coolest designs of a character ever, right? But as I grew older and the stories started to mature kind of along with me, I've always been very attracted to the character of Eddie Brock. He's kind of a mystery of a character. You compare him to characters that you could somewhat similarly put in the same archetype, your Peter Parker to a certain degree, just because of their history. But more so in the antihero mold, like a Frank Castle. Frank and Peter both are both incredibly solid in their thrust, in their principles, in the things that they believe in. Say what you will about disagreeing or agreeing with Frank, that dude does not doubt himself for a second, right? And Peter's the same way. But Eddie's always been a little bit gray. Eddie's always been kind of ... If the wind blows north, Eddie goes north, right? He's a man who doesn't know who he is yet in the same way that Tony Stark knows exactly who he is and what he wants to achieve. Eddie's not that. Eddie's never been that. And that, for a writer, is ... To have a character that has that much background and has that much built-in fan base, but is still a character who the clay is very wet, is a dream come true, to kind of go in there and examine him. Eddie and the symbiote both are 30 years old, but there's still so much about both of them that we don't know, and it's so weird because growing up, I would read these Venom comics, and Spider-Man comics with him it, and I had all these questions. Growing up I had all these questions about who is Eddie Brock? Where does he come from, and why does he do this? And who is this symbiote thing, and where did they come from? Little did I know that when I was asking those questions when I was nine, that the person who would eventually answer those would be me. Like, how utterly bizarre is that? Slide 3/7 – Who Is Eddie Brock? So who do you think Eddie Brock is? I think that Eddie Brock is maybe the most codependent human being on the face of the Earth. And it's fairly evident by the company he keeps, right? I think that in a lot of ways if you were to ask the numerous other human beings who have worn the symbiote, or a symbiote in the past, that they would tell you that they were changed by wearing the symbiote. That they gained new powers, that they maybe changed their personality, brought out the darkest in them, all these kinds of things. But I think if you were to ask Eddie, he wouldn't tell you that he was changed or that he gained something on top of who he already was. I think that Eddie would tell you that it's the first time he ever felt complete. That he always had something inside of him that wasn't there, and then gaining this he finally became ... He felt like he would never be alone again. And that to me, is very sad, and a huge quality when you're talking about Eddie Brock is this question of where he comes from and what motivates him. I always use this example, right? Peter Parker, every choice that Peter makes as a character, and everything that you've ever seen Peter do, the power and the responsibility that comes along with that and everything, these are all things that are tied to a specific moment in Peter's life: the death of his Uncle Ben. And to a greater extent, maybe the death of his parents and going back and back and back, right? Well, Eddie Brock, when he kind of became what we would call a hero in his story, he started being very adamant about protecting the innocent. Why? Where does that come from? What is Eddie Brock's Uncle Ben moment, right? What happened to Eddie that he takes to the symbiote like a bird in the air? So many other people have gotten it, and they're horrified by it. It's so scary. But not Eddie. If you go back and read those comics, Eddie was into it. What kind of person is that? That's things that we've never really talked about, that we've never really addressed, is why does Eddie feel so alone? What happened to him in his upbringing that he is so codependent and seemingly doesn't feel like he can operate by himself? Or that he is somehow incomplete without this other half of him. When we kind of examine where Eddie comes from, I've been researching a lot of psychological profiles of codependency in and of itself, and I've kind of worked backwards from this. I've kind of diagnosed Eddie to try and get to the bottom of who he is. So that's kind of where I land on Eddie. Slide 4/7 – "The Horror Story a Thousand Years in the Making"
That covers a lot of the internal conflict of the series. What can you tell me about the external threats? Man, that's tough for me to talk about. I'm going to put on my dancing shoes for you. The marketing campaign behind it, some of the blurbs that you've probably seen say, "The horror story a thousand years in the making." And that is certainly true. As far as comparisons to past Venom stories, this is the biggest one. 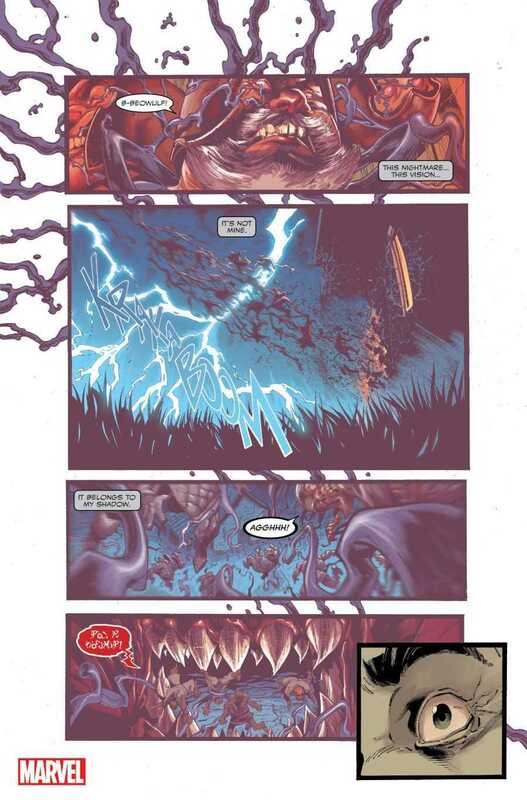 This opening arc is called “Rex,” and “Rex” is going to see a new threat that is bigger, stronger, probably the scariest thing that Venom's ever gone up against, and its tendrils kind of touch every single corner of the Marvel U. This is a thing that's incredibly old and incredibly powerful. It's something that only Venom can face. In that sense, tone-wise, I've been reading a lot of Lovecraft and a lot of Stephen King, a lot of stuff like that. I'm not going to promise that the entire run is going to be like a horror story, but this first arc I've been describing as like a Lovecraftian action film. And to whatever the hell extent that makes any sense, that's what it is. But I'll say, you know, by the end of the first issue, you'll have a very, very clear picture as to what Eddie is up against. And if I've done my job right, the impression that you will be left with is, well, how the hell is Venom equipped to deal with that? Like, what the hell is this story about? He can't fight that, you know? So it's really fun. There’s a lot going on in the Marvel Universe right now, between Infinity Countdown and Damnation and the Hunt for Wolverine. How does Venom fit into all of that? The story within Venom, it's not a book that you're going to have to read a bunch of other books. It'll be very self-contained. However, the elements in it, like I said, start to kind of reach out and seep out and touch other corners. The tagline is "A thousand years in the making." You'll be seeing some of those thousand years, and seeing how some of those thousand years have maybe influenced and changed and affected some of your other favorite corners of the Marvel U. But in and of itself, Eddie, going back to his kind of personality, he's very odd because he's a person who, in my estimation, is terrified of being alone. Never wants to be alone. Except that he's a loner, right? He hates interacting with other people. He's somewhat Hulk-ish in his, "Just leave me the f*** alone," kind of a thing, you know? What that gets you is, you know, when you have a character is a loner who just wants to be alone and hates almost everyone else in the Marvel U, and they kind of all hate him, well, what you want to do as a writer is go ahead and make him interact with all those people as much as possible to put him in situations that he's going to hate. The actual biggest villain of this entire run is me because I keep on just doing the meanest $#!+ to Eddie. So the solicitation for issue #3 just came out, and it shows that Miles [Morales] is going to be in the book. And that to me was something that I've wanted to do since the jump and was kind of anxious to get to do before anyone else. Because Miles and Eddie Brock have never met. And getting to write that first meeting of those two characters is something that I consider an honor. And getting to write Miles, in general, is quite an honor. I've had conversations with Brian [Michael Bendis] and kind of got his blessing and some advice and some tips on how to write Miles. So people who are fans of Miles know that a Venom-like creature led to the death of his mom. She's back now, but that's still in his head. That this creature that looks a lot like Eddie Brock killed his mom. So when those two meet, it's really fun to write, but it's also terrible because Miles instantly hates Eddie, but Eddie's like, "Dude, I have never met you." He's like, "Oh great, a new Spider-Man who hates me. Dope. This is going great." And Eddie, for the most part, is pretty floored by this idea, because Eddie's background's not spotless either. So there very well could be a part of Eddie who's like, "Damn, did I kill this kid's mom? I don't remember killing this kid's mom, but crazier things have happened, I guess? Do I deserve to get beat up by this kid?" So that concept is really interesting and certainly, we'll be seeing a lot of Miles and we'll be seeing a lot of the larger Marvel U, for sure. What can you tell me about what its been like working with Ryan Stegman for this series? While he’s known for great superhero work, he’s not known for drawing the kind of horror you’ve described for your first story arc. Yeah, honestly, I know every writer says this, like there's always the point in the interview where the writer's like, "Aw, my creative team's so f***ing cool and we're all getting along," and all that kind of stuff. And I know we're supposed to say that, but honestly, it's been a dream come true working with Ryan. I knew of Ryan before we started working together. We kind of run in similar circles and he's a guy that if I saw at a show, I'd be like, "Oh, hey man, what's up?" But not anybody I'd ever go out to dinner with or that I knew very well. And so there's always a bit of trepidation when you're going into a project with somebody, and you're like, “Oh man, are they going to be a jerk? Are they going to be passionate about it or is this just a gig for them?” Which is fine, but Ryan and I have actually become really, really good friends. We talk probably every day on the phone about the book and about all kinds of stuff and in that way, it's been phenomenal. He is such a big fan of Venom, and so passionate about this story that we're telling, and the scope and the size. For time's sake, and to keep Ryan and I as the core guys on this book, we wanted to minimize the fill-in artist effect as much as possible. And to that end, Ryan's just penciling. We brought him in an inker by the name of J.P. Mayer, who is incredible. So Ryan is doing these lush, gorgeous, gorgeous pencils and then J.P. comes in and does his thing, and it makes it this completely kind of new style. You've never really seen anything like this from Ryan, and it's just been a joy. He texts me all the pictures that he's drawing as he's doing them, and we'll tweak stuff just by ourselves back and forth before we turn it in to the editors and stuff. So it feels a lot like working with Geoff Shaw, who I did God Country and Thanos with. Geoff is one of my best friends, and it's just a joy to work with him because we have similar goals with art, and we have similar aesthetics in how to tell stories. He's able to draw in a way that he knows that'll pull the best out of me, and I'm able to write in a way that I can pull the best out of Ryan and out of Geoff. To me, that's making comics. The part where you're kind of in the grind and turning in scripts and doing all that stuff, that's the work, right? But the making comics of it all is the phone calls and that talking and the brainstorming and the laughing, and the having fun. That's making comics, and this has been one of the most rewarding experiences that I've had so far. And it means so much to me, because Venom means so much. It would have been such a bummer if my creative team was a bunch of jerks. It would have ruined this whole thing. But they're all phenomenal. [Colorist] Frank Martin is great, J.P. is great. Devin [Lewis], our editor, is great. [Editor] Nick Lowe is obviously great. I've been working with him since I got there onto Doctor Strange. So I know we're all supposed to say this $#!+, but I mean it. I really do love everyone I'm on this book with. Lastly, because I know this is something fans of Venom are going to be wondering about, what role, if any, do the other previous Venom hosts play in the series? Great question. Appreciate you asking it. I'll say this: Eddie Brock is Venom. There's a lot of other cats who have worn that symbiote, but like, Mac Gargan? He ain't Venom. Flash Thompson is amazing, but that's “Agent,” right? This is Venom. This is a book about Venom, and to me, growing up as a '90s kid, and being the age that I am, Eddie Brock is the dude, right? And Eddie Brock, to me, is the character most in need of the spotlight right now. That being said, I'll say this, and this is what I tell every fan online who asks me, "Hey, is this character going to show up? Hey, is Riot going to show up? Is Phage? Is Lasher? All these crazy characters, are they going to show up?” I always turn it around on them and I say, "Well, hey look, you're a big Venom fan, right? If Marvel gave you the keys to the kingdom, wouldn't you use every toy? Wouldn't you want to use every single inch of that character in the story? Because I do, and I am. So if there's a character that you like that's important to the mythology of the character, hang in there, man. Because you have one of your own at the helm. No one wants to play with all that stuff more than me. So, just stay tuned." Venom #1 goes on sale May 9th.